Hello, friends! Long time no post, but life has been pulling me in all directions these days. This summer, it pulled me towards Bangalore, India for 6 weeks. Luckily, I love Indian food, and I ate a lot of it. 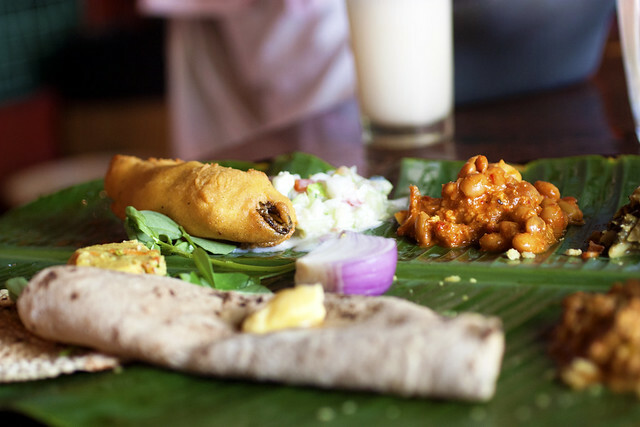 Kamat Lokaruchi is a cute, traditional Southern Indian road-side restaurant along the way from Bangalore to Mysore. Breakfast was idli (steamed cake made from black lentils), and one my favorites, vada (fried doughnut made from black lentils) with sambar and chutney. 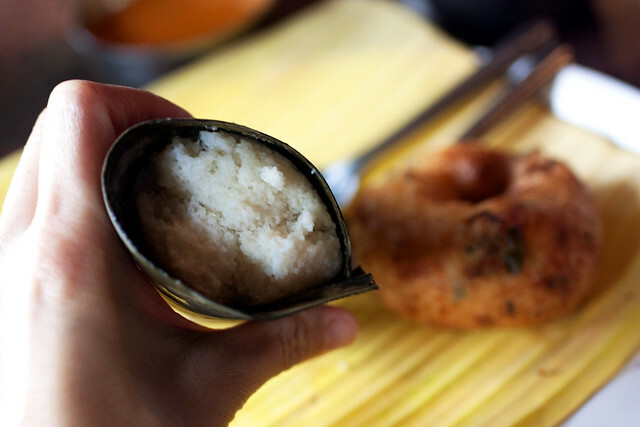 I love idli, but anything fried is best. 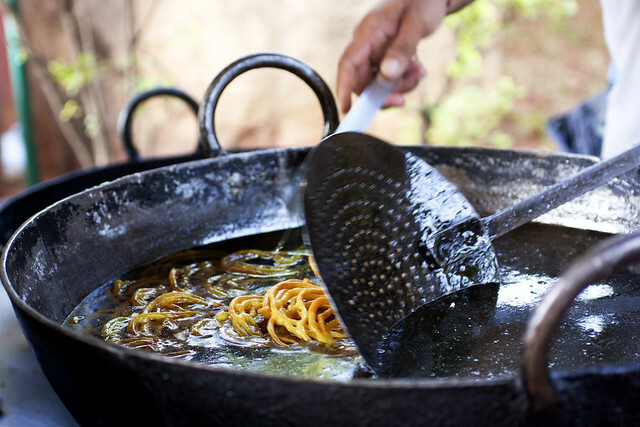 Speaking of fried, Kamat is known for fresh ghee jalebi. Yes, another favorite of mine. 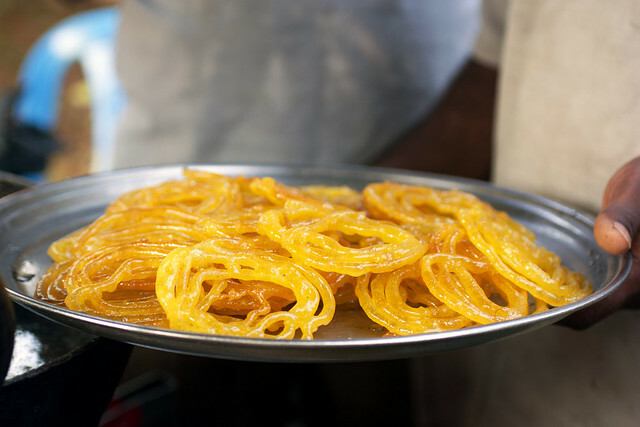 The ones here were the best I had in India. Crunchy, fresh, and with a bit of tang. 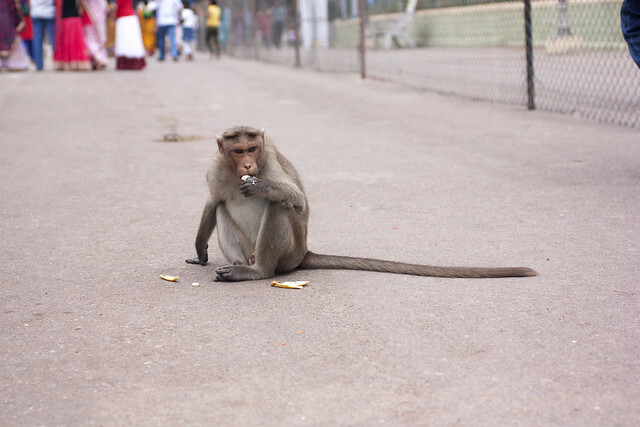 At night, after some sightseeing in Mysore (Mysore Palace was impressive, but I loved people and monkey watching by Chamundeshwari Temple), it was back to Kamat for dinner. Dinner started with a banner leaf which my driver told me to wash with the drinking water we were served. Then it was an onslaught of food. The yummiest was a simple, flakey flatbread called holige or poli, depending on who you speak to, drizzled with ghee table-side. This one was filled with slightly sweetened smashed dal, but while in India, I had a cocunut variation as well. I’m all about the dal-filled. If anyone knows where I can find this in New York, please let me know. I promise to love you forever. 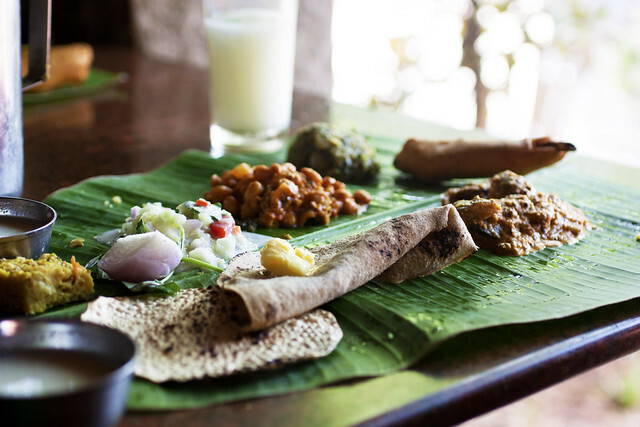 After the sweet poli, it was a traditional Southern thali with lots of chapathi, assorted sambars, curries, chutneys, and fried things. 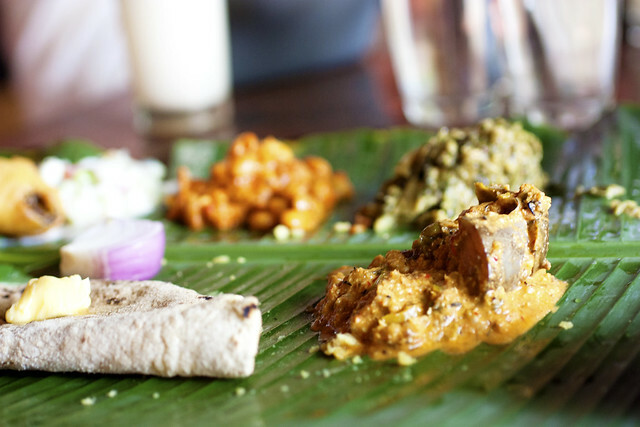 Everything was tasty, and I think my banana leaf got refreshed at least twice if not more. It’s all you can eat! But even if it wasn’t, Kamat won’t break the bank. Everything I ate that day was less than $5 total. As you might have imagined, food is very affordable in India as long as you leave your hotel. Do it. Get out, and eat. 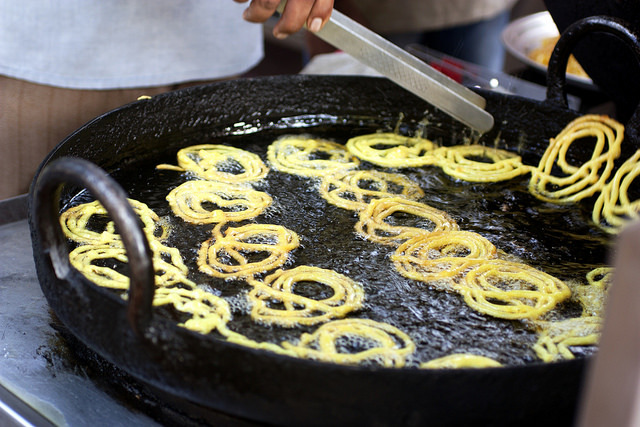 Deliciousness like poli and jalebi await.